Our strongest asset is our experienced and dedicated team of professionals. We guarantee your project will be handled by a skilled team that is committed to efficiency and quality. We believe in doing it right the first time! Meet our team leaders below! Lois, along with her late husband, Jim, founded Lenz Lawn Care. She graduated from Briar Cliff College in Sioux City, Iowa. with a BA in education and Theology. After many years of teaching, and with the business growing, Lois chose to devote her time to the family business. Lois attended the University of Minnesota for landscape design, maintenance and horticulture. She is a certified Master Gardner. Eric brings years of experience and knowledge to the lawn care business. 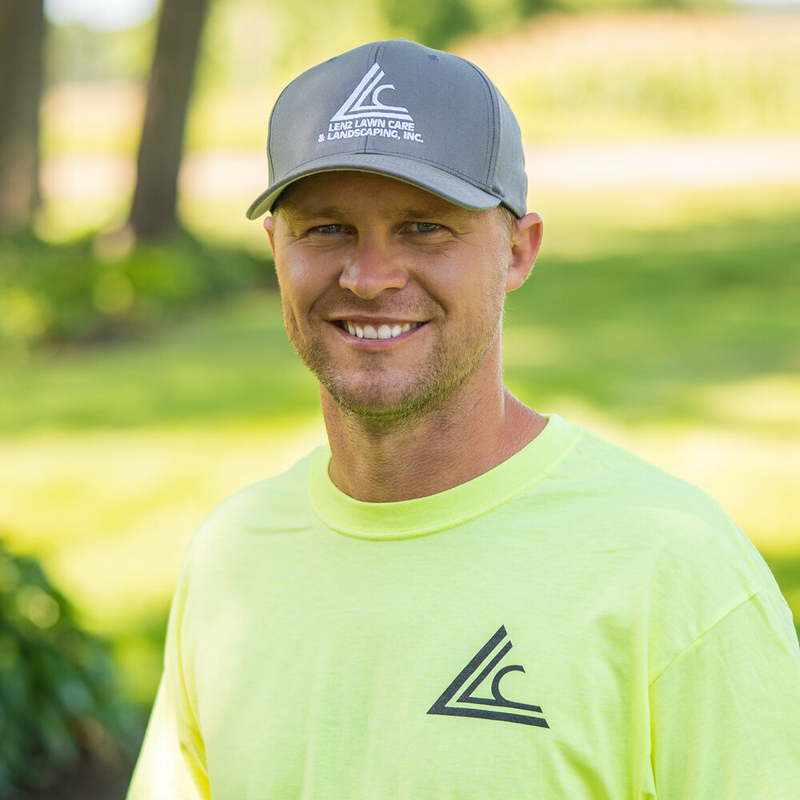 He has been part of Lenz Lawn Care since its beginning and continues to enrich his expertise through classes and certifications. Eric attended Anoka Hennepin Technical College for Irrigation Install and Maintenance. Eric's certifications, licenses and ongoing training include: Power Limited License, Back-flow Prevention Testing License, Technology Service Contractor’s License, Lake Service Provider Permit – (Aquatic Invasive Species) and Water Conservation Management. Chris has grown up in the lawn care business. He managed the fertilizing and spraying area of the business until graduating in 2011 from Loras College in Dubuque, IA, with a degree in Business Management and Finance. Chris is licensed in A & E Commercial Turf and Ornamental.